out” only to find yourself in a drawn out argument with him instead. It just didn’t work. Let me try to explain why. “Time out” is intended to remove stimulation, including any attention that increases a child’s negative behavior. Without this stimulation, the child can calm himself and think about more appropriate behaviors. Parents, however, often send their child to his room for a “time out.” He finds a multitude of stimulation and distraction in his room—radio, TV, video games, texting friends, etc. With all these stimulations to distract him, he never has a chance to think about his negative behavior. “Time out” has become ineffective. Of course, a “time out chair” or “time out corner” could remove the stimulation but this often leads to a power struggle between the parent and child. Conflict (a negative form of attention attention) escalates as part of the parents’ attempt to force their child into the designated “time out” spot. Emotions become raw. Parental lectures expand. Parent-child debates intensify. And, the child continues to receive his parents’ (albeit negative) attention which reinforces his negative behavior. He focuses not on his own behavior, but his parents’ “crazy behavior.” On some level, he also recognizes his parents’ lack of control and power, producing insecurity in his life. “Time out” has become ineffective. Children feel overwhelmed and out of control in the midst of their emotional outbursts. 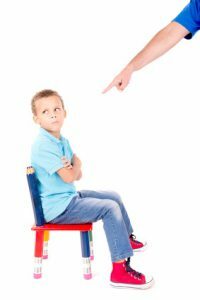 When a child does comply with the “time out chair” or “goes to his room,” he finds himself separated from his parents, the people who most help him manage his emotions. He may feel isolated and lonely. The person he turns to in time of need has cast him out and abandoned him rather than help him in his time of emotional need. “Time out” has become ineffective. May I suggest a few tips to remedy this situation, to redeem the “time out?” Actually, we may more aptly call this “tuning in” to discipline your child. Practice “time-in” with your child. Make time to engage them in play, conversation, and activities throughout the day. Having “time-ins” with your child will build your relationship with him. As you respond to your child’s needs during “time-ins,” you will find that he responds to you more readily as well. When your child does misbehave, take a breath. Think about the misbehavior and the behavior you would like to see instead. Take your child by the hand or shoulder and gently guide them into another area, away from the stimulation found in the area of the negative behavior. Empathize with their feelings by identifying the emotion. Label it. Simply knowing “my” emotions are accepted and have a name helps a person calm down. Spend time “hearing,” acknowledging, and accepting the emotion your child feels. As they calm, begin to discuss behavior as well. All emotions are acceptable, but not all behaviors are acceptable. Delineate between appropriate responses to emotions and inappropriate responses, appropriate behaviors and inappropriate behaviors. After your child has calmed down, return to the area and let them practice the new behavior. If they say they would rather just leave, you might allow them to do so. Acknowledge their effort in implementing the new behavior or their wisdom in avoiding further conflict. Let them know you appreciate their new actions. I realize this format takes more time and effort on the parents’ part, but the reward is equally superior. You will deepen your relationship with your child. Your child will learn to manage his emotions and engage in appropriate behaviors on a more regular basis. Give “tuning in” a try for the next month and see if you don’t find the change in your child’s behavior rewarding.